Some key digital information issues will be brought before the Collision Industry Conference gathering Nov. 1-2 during SEMA, according to an agenda released Monday. The BMS standard, which CIECA created and has been encouraging the industry to use instead of the obsolete EMS format, will be among the topics in the Advanced Technologies Committee presentation at 9:30 a.m. Tuesday, Nov. 1, by Jack Rozint of Mitchell and Fred Iantorno of CIECA. Iantorno will also discuss the Collision Industry Electronic Commerce Association’s work Wednesday, Nov. 2, at 11:30 a.m., and the topic might come up then as well. CCC in September announced that it would in April 2017 support the BMS format — which besides CIECA had been advocated by major auto body players like SCRS and Caliber Collision — and “sunset” the archaic EMS data standard a year later. EMS relies on locally installed “data pumps” which gives the pumper every piece of information from a estimate instead of simply the messages they actually need, as occurs with BMS. Thus, EMS raises efficiency and security issues, and it also uses the old dBase language instead of a more modern XML file. But — and this is where you might see some lively discussion at CIC — CCC as part of this rollout will also charge vendors receiving the new BMS files a $0.50 per-estimate fee, and the data won’t be housed locally with a shop in the manner it (unsecurely) had been. This raises questions of data ownership, control and overall economic impact. The CIC organizers are correct. Who owns data, who can use data, and what will be done with this data are going to be huge as waves of information from a vehicle are captured by OEMs and insurers. Such telematics information has use for everything from calculating driving habits and insurance premiums (e.g. Progressive’s Snapshot) to improving the vehicle’s performance (e.g. Tesla) to determining damage to a vehicle and immediately notifying an insurer, tow truck, repairer and authorities of a collision (e.g. CCC DRIVE). Clint Marlow of Allstate will present the latest from the Repairer-Insurer Relations Panel at 8:30 a.m. Nov. 1, discussing “the value that repairers and insurers bring to each other,” according to CIC. Toby Chess of the Technical Committee and the SCRS Education Committee will tell you “Everything you didn’t know about Dedicated Bench setup,” according to CIC, at 9:50 a.m. Nov. 2. Cory King of Boggs, Fine and Perkins LLP will offer human resources insights at 10:30 a.m. Nov. 2. “Just when you thought you’d heard it all—What is the world coming to?” CIC said regarding the session’s content. I-CAR’s John Van Alstyne will follow him at 11 a.m. Nov. 2 with an update on the educational organization’s efforts on what it describes as a “Technical Tsunami” coming from OEMs. 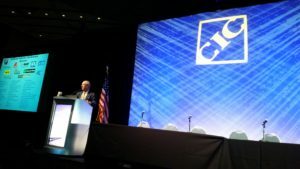 CIC will host industry awards at 8 a.m. Nov. 2. 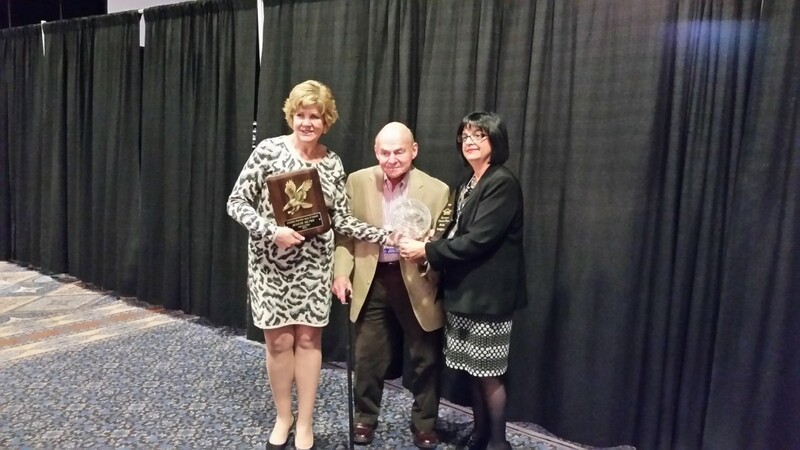 Last year, the ceremony also saw CARSTAR Mundelein co-owner Jeanne Silver named to the collision industry’s Hall of Eagles, the first hall of fame inductee since 2012. And finally, CIC Chairman Randy Stabler of Pride Auto Body ends his two-year term and turns over control of the gathering to Painters Supply and Equipment’s Guy Bargnes. CIC will welcome Bargness at 11:20 a.m. Nov. 1.